Several decades after William Harvey demonstrated how blood circulated, attempts were made to transfuse blood. In 1665, Richard Lower successfully kept dogs alive by transfusing blood from other dogs, and two years later, Jean-Baptiste Denys performed the first documented blood transfusion into a human subject. Whereas single transfusions were sometimes successful, the recipients often succumbed after receiving their second or third transfusion. By the end of the seventeenth century, blood transfusions were banned and fell into obscurity until 1818, when James Blundell, an English obstetrician, performed the first successful transfusion of human blood for the treatment of postpartum bleeding. Between 1825 and 1830, he performed ten transfusions—five of which were beneficial. Not only was Blundell medically successful but also financially, earning the present-day equivalent of $50 million from his invention of blood transfusion instruments. The discovery of blood types by Karl Landsteiner, an Austrian-born American immunologist, transformed transfusions into a routine medical procedure. In 1901, at Vienna’s Institute of Pathology, he reported that when the blood of some individuals was brought into contact with some other’s, it could cause agglutination (clumping) of the red blood cells with fatal consequences, and this resulted from an immunological (antigen-antibody) reaction. He identified three human blood groups, A, B, and C (later renamed O), and subsequently a fourth group, AB. Landsteiner’s blood typing served as the basis for the first successful transfusions of compatible blood into recipients in 1907 at Mt. Sinai Hospital in New York and on a large-scale basis on the World War I battlefields. 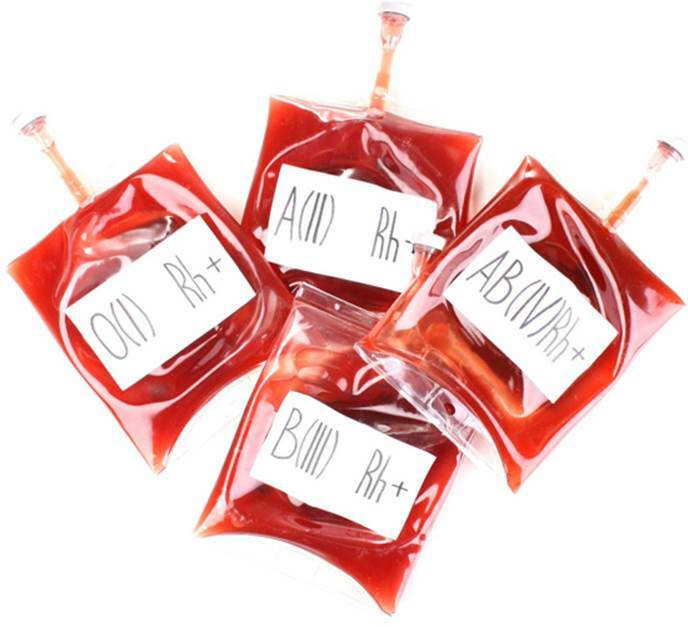 In 1927, ABO blood types were introduced for use in paternity suits to establish the biological parents of a child. Landsteiner was awarded the 1930 Nobel Prize for his discovery of human blood groups and the ABO system of blood typing. In 1940, while working at the Rockefeller Institute (now Rockefeller University), he discovered another blood factor in Rhesus monkeys. This Rh factor was responsible for the potentially life-threatening hemolytic disease of the newborn, which occurs when a mother and her fetus have incompatible blood types. SEE ALSO: Harvey’s De motu cordis (1628), Blood Cells (1658). In 1901, Landsteiner identified the four human blood types and, four decades later, found the Rh factor. In 1968, the drug RhoGAM was introduced to suppress the Rh– mother’s normal production of antibodies to her fetus’s Rh+ red blood cells, effectively preventing hemolytic disease of the newborn.